In Ivan and Misha, Michael Alenyikov portrays the complexities of love, sexuality, and the bonds of family with boldness and lyric sensitivity. As the Soviet Union collapses, two young brothers are whisked away from Kiev by their father to start life anew in America. The intricately linked stories in this powerful debut, set in New York City at the turn of the millennium, swirl about the uneasy bond between fraternal twins, Ivan and Misha, devoted brothers who could not be more different: bipolar Ivan, like their father, is a natural seducer, a gambler who always has a scheme afoot between fares in his cab and stints in Bellevue. Misha struggles to create a sense of family with his quixotic boyfriend, Smith, his wildly unpredictable brother, and their father, Lyov (“Call me Louie!”), marooned in Brighton Beach yet ever the ladies’ man. Father and sons are each haunted by the death of Sonya, a wife to Lyov, a mother to his sons. 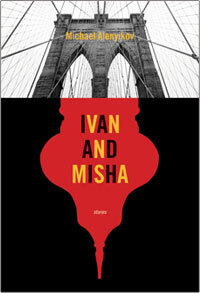 An evocative and frank exploration of identity, loss, dislocation, and desire, Ivan and Misha marks the arrival of a uniquely gifted voice in American fiction. 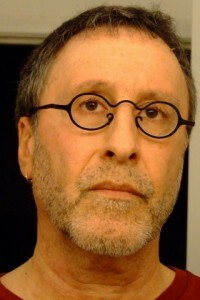 For more information on Michael Alenyikov, visit his website, www.michaelalenyikov.com.